It is almost Christmas and I am reflecting about the true meaning of Christmas in a world where hope seems to be dying before our eyes. In such an environment I reflect on men who lived in a human made hell, a hell made by hate filled ideologues who launched the world into its bloodiest war, and I wonder, could it happen again? A decade ago I would have said it never could again happen, but now I am not so sure. So, in the age of Donald Trump, I must try to find hope wherever I can find it. 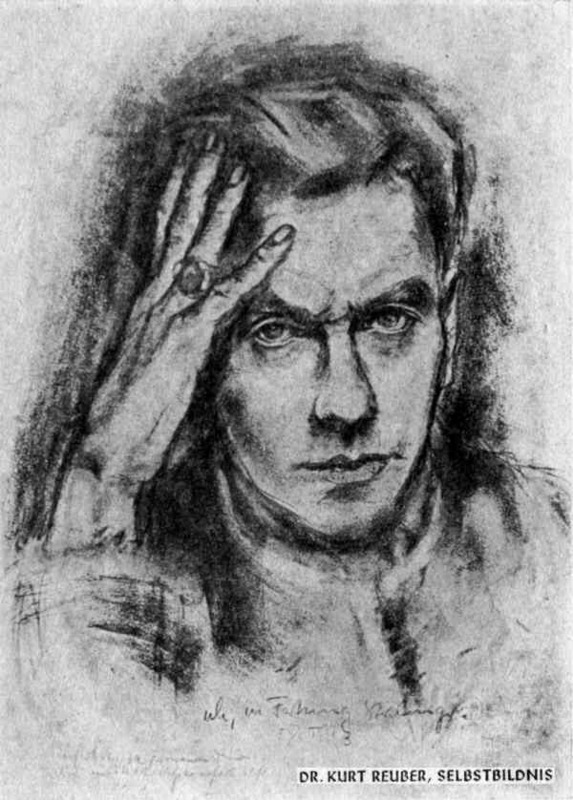 As I said, Reuber was a theologian, pastor and medical doctor, likewise he was an accomplished artist and used that medium to convey his own faith, and doubts. He was a friend of Albert Schweitzer in 1939 he was conscripted to serve as a physician in the Germany Army. By November 1942 he was a seasoned military physician serving with the 16th Panzer Division, part of the German 6th Army, which had been fighting in the hell of Stalingrad. When his division along with most of 6th Army was surrounded by the Soviets, cut off from most supply and without real hope of relief, he like other physicians continued to serve the soldiers committed to his care. Praying for an end to war. In the midst of all I have been writing lately, when I recalled yesterday that I had been writing on this site for eight years, it brought back a lot of memories. Those memories kept me up a lot of last night, and I realized that many of my newer readers don’t know about some of the events that brought me to where I am today. In December of 2007 while I was in Iraq I wrote an e-mail to my former denomination that was published in the denomination newsletter. 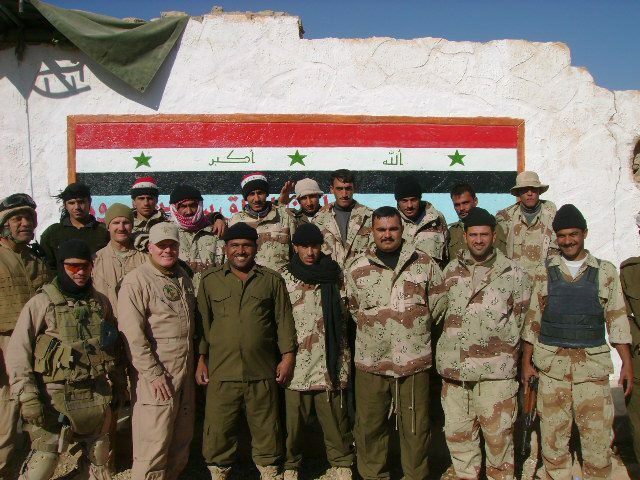 When I wrote it I was between missions and getting ready to head out to the Syrian border of Iraq for an extended visit with five of our Military Training Teams of advisors who were working with Iraqi Army and Border troops. This is the unedited post from that article that I posted here in early March 2009. It is amazing to me, on this day that is also the 50th anniversary of the death of Bernard Fall who I quote in the original article, that so little has changed, except possibly for the worse. Have a great night, tomorrow my series on civil rights and African American history continues. I have been doing a lot of reflecting on ministry and history over the past few months. 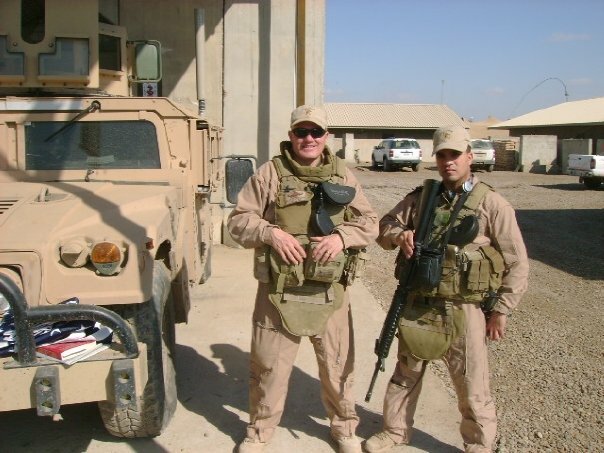 While both have been part of my life for many years, they have taken on a new dimension after serving in Iraq. I can’t really explain it; I guess I am trying to integrate my theological and academic disciplines with my military, life and faith experience since my return. 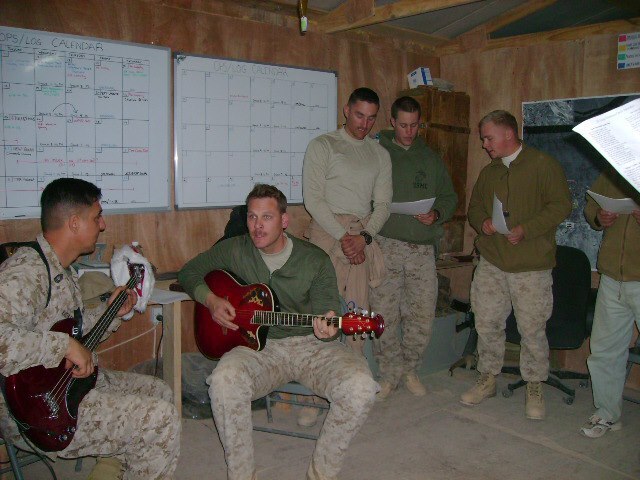 The Chaplain ministry is unlike civilian ministry in many ways. 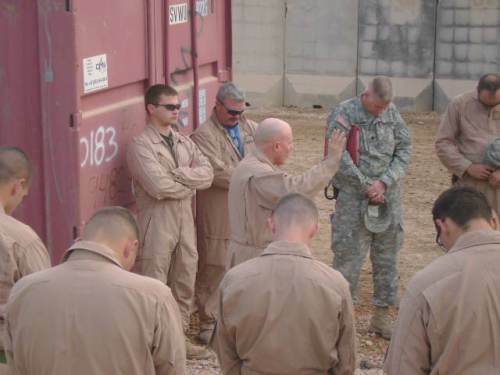 As Chaplains we never lose the calling of being priests, and as priests in uniform, we are also professional officers and go where our nations send us to serve our Soldiers, Sailors, Marines and Airmen. There is always a tension, especially when the wars that we are sent to are unpopular at home and seem to drag on without the benefit of a nice clear victory such as VE or VJ Day in World War II or the homecoming after Desert Shield and Desert Storm. It is my belief that when things go well and we have easy victories that it is easy for us to give the credit to the Lord and equally easy for others to give the credit to superior strategy, weaponry or tactics to the point of denying the possibility that God might have been involved. Such is the case in almost every war and Americans since World War Two have loved the technology of war seeing it as a way to easy and “bloodless” victory. In such an environment ministry can take on an almost “cheer-leading” dimension. 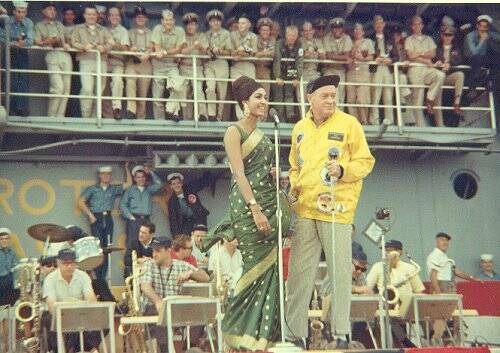 It is hard to get around it, because it is a heady experience to be on a winning Army in a popular cause. The challenge here is to keep our ministry of reconciliation in focus, by caring for the least, the lost and the lonely, and in our case, to never forget the victims of war, especially the innocent among the vanquished, as well as our own wounded, killed and their families. 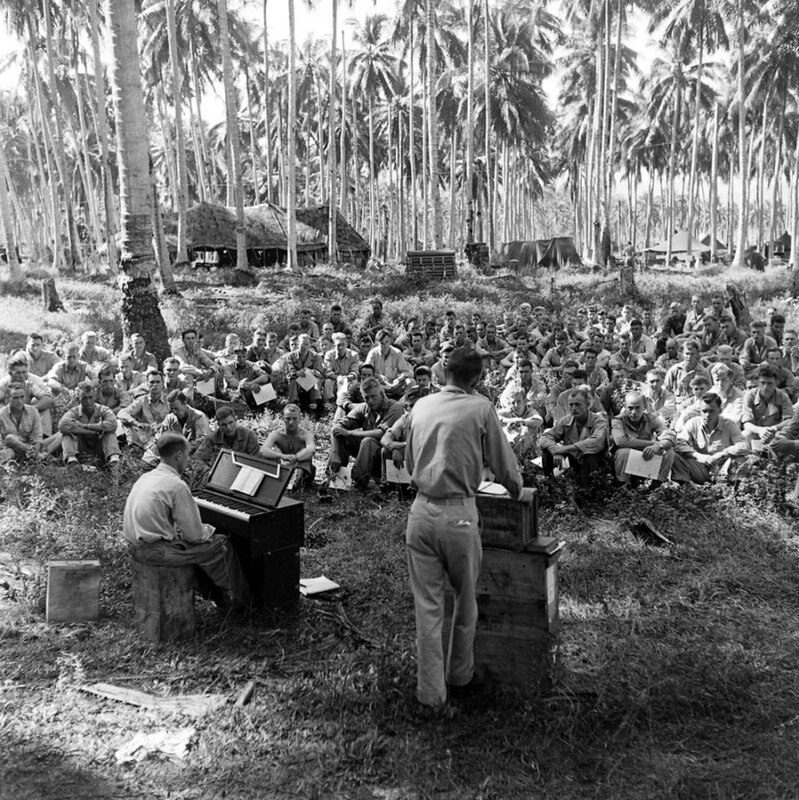 But there are other wars, many like the current conflict less popular and not easily finished.The task of chaplains in the current war, and similar wars fought by other nations is different.In these wars, sometimes called counter-insurgency operations, guerilla wars or peace keeping operations, there is no easily discernable victory. These types of wars can drag on and on, sometimes with no end in sight. Since they are fought by volunteers and professionals, much of the population acts as if there is no war since it does often not affect them, while others oppose the war. Likewise, there are supporters of war who seem more interested in political points of victory for their particular political party than for the welfare of those that are sent to fight the wars. This has been the case in about every war fought by the US since World War II. It is not a new phenomenon. Only the cast members have changed. You probably wonder where I am going with this. I wonder a little bit too. But here is where I think I am going. It is the most difficult of times; especially when units we are with take casualties and our troops’ sacrifice is not fully appreciated by a nation absorbed with its own issues. For the French the events and sacrifices of their soldiers during Easter 1954 was page five news in a nation that was more focused on the coming summer. This is very similar to our circumstances today because it often seems that own people are more concerned about economic considerations and the latest in entertainment news than what is going on in Iraq or Afghanistan. The French soldiers in Indo-china were professionals and volunteers, much like our own troops today. 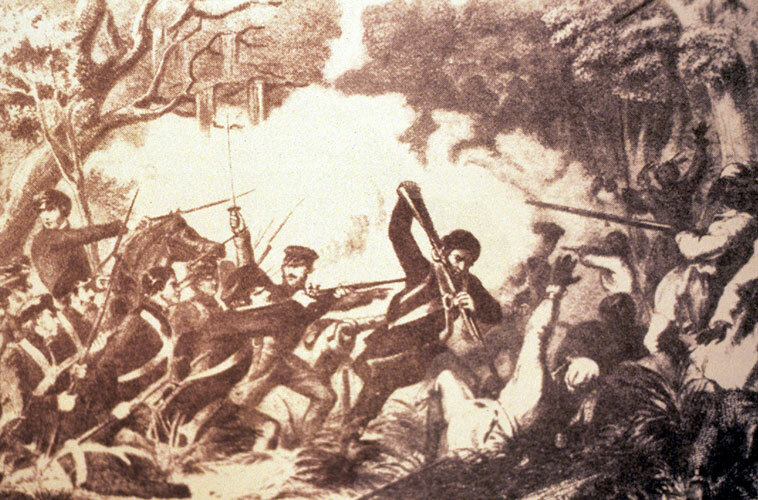 Their institutional culture and experience of war was not truly appreciated by their own people, or by their government which sent them into a war against an opponent that would sacrifice anything and take as many years as needed to secure their aim, while their own countrymen were unwilling to make the sacrifice and in fact had already given up their cause as lost. Their sacrifice would be lost on their own people and their experience ignored by the United States when we sent major combat formations to Vietnam in the 1960s. 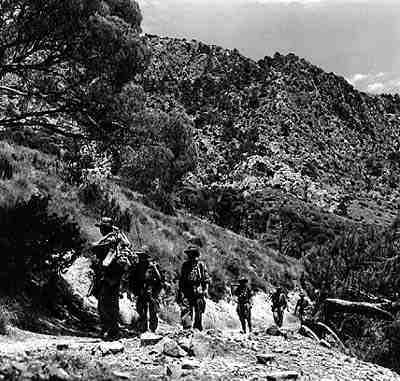 In a way the French professional soldiers of that era have as well as British colonial troops before them have more in common with our force than the citizen soldier heroes of the “Greatest Generation.” Most of them were citizen soldiers who did their service in an epic war and then went home to build a better country as civilians. We are now a professional military and that makes our service a bit different than those who went before us. Yet it is in this very world that we minister, a world of volunteers who serve with the highest ideals. We go where we are sent, even when it is unpopular. It is here that we make our mark; it is here that we serve our Soldiers, Sailors, Marines and Airmen. Our duty is to bring God’s grace, mercy and reconciliation to men and women, and their families who may not see it anywhere else. Likewise we are always to be a prophetic voice within the ranks. When my dad was serving in Vietnam in 1972 I had a Sunday school teacher tell me that he was a “Baby Killer.” It was a Catholic Priest and Navy Chaplain who showed me and my family the love of God when others didn’t. In the current election year anticipate that people from all parts of the political spectrum will offer criticism or support to our troops. Our duty is to be there as priests, not be discouraged in caring for our men and women and their families because most churches, even those supportive of our people really don’t understand the nature of our service or the culture that we represent. We live in a culture where the military professional is in a distinct minority group upholding values of honor, courage, sacrifice and duty which are foreign to most Americans. We are called to that ministry in victory and if it happens someday, defeat. In such circumstances we must always remain faithful. For those interested in the French campaign in Indo-China it has much to teach us. Good books on the subject include The Last Valley by Martin Windrow, Hell in a Very Small Place by Bernard Fall; The Battle of Dien Bein Phu by Jules Roy; and The Battle of Dien Bien Phu- The Battle America Forgot by Howard Simpson. For a history of the whole campaign, readStreet Without Joy by Bernard Fall. I always find Fall’s work poignant, he served as a member of the French Resistance in the Second World War and soldier later and then became a journalist covering the Nurnberg Trials and both the French and American wars in Vietnam and was killed by what was then known as a “booby-trap” while covering a platoon of U.S. Marines. It is almost Christmas and I am reflecting about the true meaning of Christmas in a world where hope seems to be dying before our eyes. In such an environment I reflect on men who lived in a human made hell, a hell made by hate filled ideologues who launched the world into its bloodiest war, and I wonder, could it happen again? A decade ago I would have said it never could again happen, but now I am not so sure. So I must try to find hope wherever I can find it. Six years ago I arrived home from Iraq. It was the beginning of a new phase in my life. I wrote an article shortly after my return for the church that I belonged to at the time and I have republished it around this time of year a number of times. When I wrote it I really had no idea how much I had changed and what had happened to me. When I wrote it I was well on my way to a complete emotional and spiritual collapse due to PTSD. Things are better now but it was a very dark time for several years and occasionally I still have my bad days. These wars in Iraq and Afghanistan have been terribly costly in lives, treasure and they have lost almost all sense of public support. I have been in the military almost all of my adult life, over 32 years. I am also a historian and the son of a Vietnam Veteran. Thus, I feel special kinship with those that have fought in unpopular wars before me. French Indochina, Algeria and Vietnam, even the Soviet troops in Afghanistan before we ever went there. I am honored to have served with or known veterans of Vietnam, particularly the Marines that served at the Battle of Hue City, who are remembering the 44th anniversary of the beginning of that battle. My dad also served in Vietnam at a place called An Loc. He didn’t talk about it much and I can understand having seen war myself. When I look up at the moonlit sky I think about seeing all of those stars and the brilliance of the moon over the western desert of Iraq near Syria. Somehow, when I see that brilliant sight it comforts me instead of frightens me. 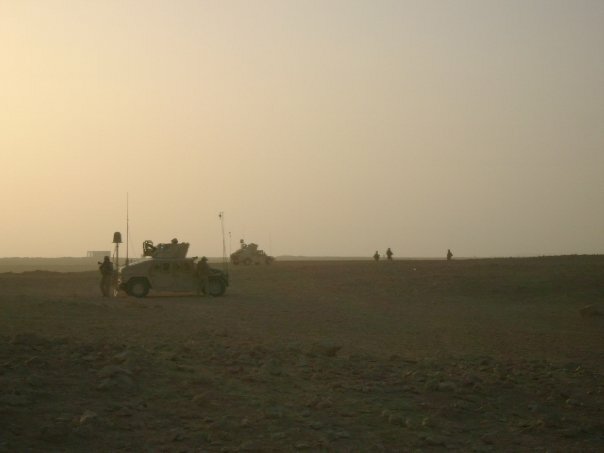 Tonight our Soldiers, Marines, Sailors and Airmen serve in harm’s way nearly 35,000 in Afghanistan alone. We are sort of out of Iraq but Lord knows how things will turn out in the long run, and it appears that another major Battle of Fallujah is shaping up. Tonight I am thinking about them, as well as those men who fought in other unpopular wars which their nation’s government’s sent them. 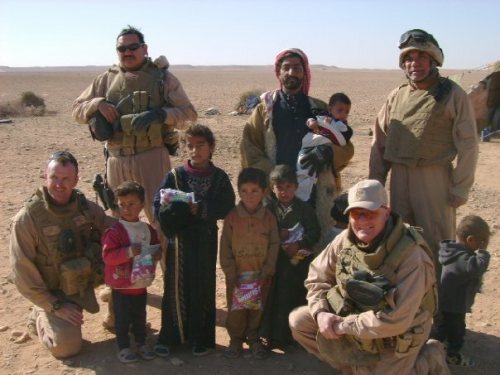 When I left Iraq I was traumatized. All that I had read about our Vietnam veterans, the French veterans of Indochina and Algeria and the Soviet veterans of Afghanistan resonated in my heart. The words of T. E. Lawrence, Smedley Butler, Erich Maria Remarque and Guy Sager also penetrated the shields I had put around my heart. So I wrote, and I wrote, and I still write. But tonight here is God in the empty Places. God in the Empty Places. But there are other wars, many like the current conflict less popular and not easily finished. The task of chaplains in the current war, and similar wars fought by other nations is different. In these wars, sometimes called counter-insurgency operations, guerrilla wars or peace keeping operations, there is no easily discernible victory. These types of wars can drag on and on, sometimes with no end in sight. Since they are fought by volunteers and professionals, much of the population acts as if there is no war since it does often not affect them, while others oppose the war. For the French the events and sacrifices of their soldiers during Easter 1954 was page five news in a nation that was more focused on the coming summer. This is very similar to our circumstances today because it often seems that own people are more concerned about economic considerations and the latest in entertainment news than what is going on in Iraq or Afghanistan. 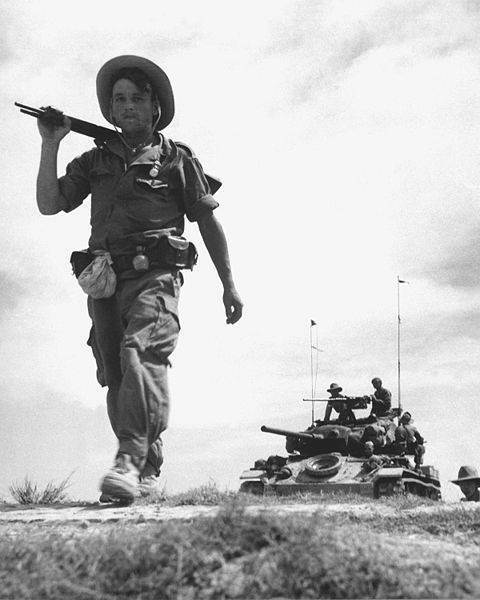 The French soldiers in Indochina were professionals and volunteers, much like our own troops today. 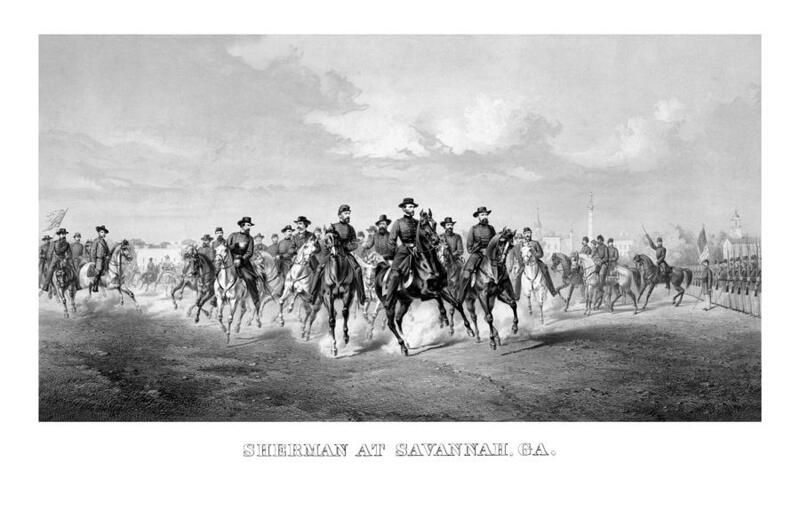 Their institutional culture and experience of war was not truly appreciated by their own people, or by their government which sent them into a war against an opponent that would sacrifice anything and take as many years as needed to secure their aim, while their own countrymen were unwilling to make the sacrifice and in fact had already given up their cause as lost. Their sacrifice would be lost on their own people and their experience ignored by the United States when we sent major combat formations to Vietnam in the 1960s. In a way the French professional soldiers of that era, as well as British colonial troops before them have more in common with our current all volunteer force than the citizen soldier heroes of the “Greatest Generation.” Most of them were citizen soldiers who did their service in an epic war and then went home to build a better country as civilians. 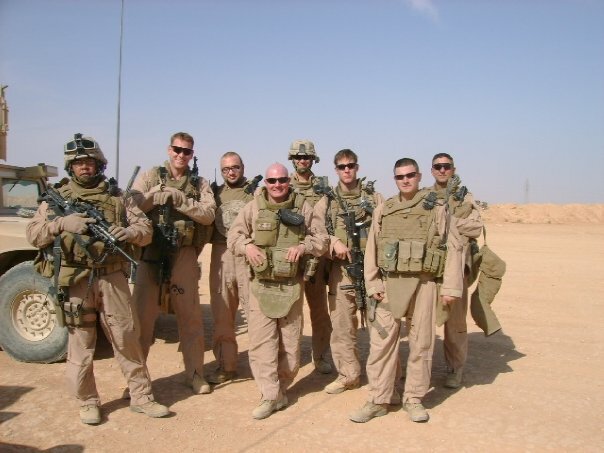 We are now a professional military and that makes our service a bit different than those who went before us. 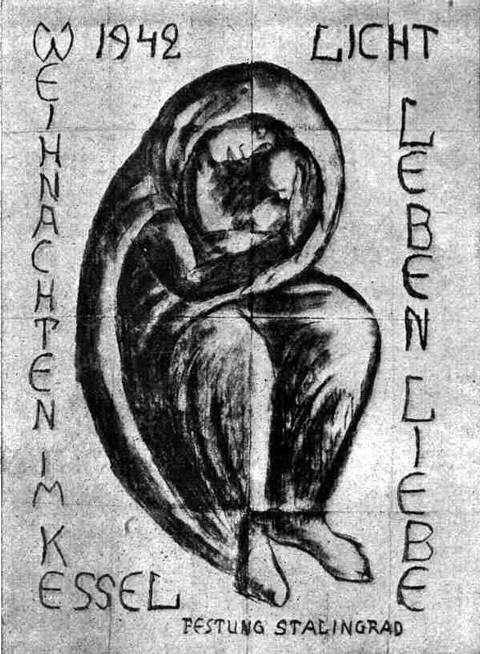 There is a picture that has become quite meaningful to me called the Madonna of Stalingrad. 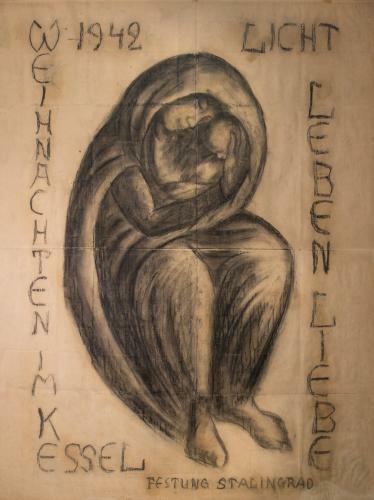 It was drawn by a German chaplain-physician named Kurt Reuber at Stalingrad at Christmas 1942 during that siege. He drew it for the wounded in his field aid station, for most of whom it would be their last Christmas. The priest would die in Soviet captivity and the picture was given to one of the last officers to be evacuated from the doomed garrison. It was drawn on the back of a Soviet map and now hangs in the Kaiser Wilhelm Memorial Church in Berlin where it is displayed with the Cross of Nails from Coventry Cathedral as a symbol of reconciliation. I have had it with me since before I went to Iraq. The words around it say: “Christmas in the Cauldron 1942, Fortress Stalingrad, Light, Life, Love.” I am always touched by it, and it is symbolic of God’s care even in the midst of the worst of war’s suffering and tragedy. I have kept a a copy hanging over my desk in my office since late 2008. It still hangs in my new office. 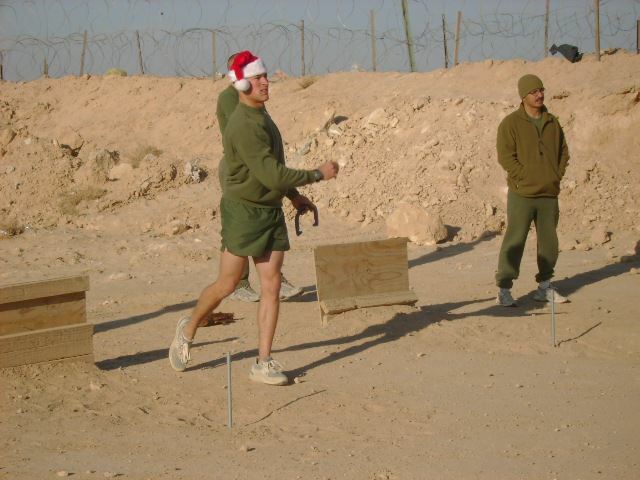 Today as on so many Christmas Days in days gone by military personnel serve on the front lines in wars far away from home. Today American and NATO troops engage a resourceful and determined enemy in Afghanistan. American Marines are working to safeguard the lives of Americans in South Sudan while French troops are intervening in Mali and the Central African Republic to attempt to prevent genocide. In many corners of the globe others stand watch on land, at sea and in the air. Unfortunately on this Christmas wars continue and most likely will until the end of time as we know it. I have done my time in Iraq at Christmas on the Syrian-Iraqi Border in 2007 with our Marine advisors and their Iraqis. That was the most memorable Christmas and the most important Christmas Masses that I ever celebrated. Since returning home have thought often of those that remain in harm’s way as well as those soldiers, sailors, Marines and airmen, American and from other nations that have spent Christmas on the front lines. Some of these events are absolutely serious while others display some of the “light” moments that occur even in the most terrible of manmade tragedies. In American history we can look back to 1776, of course we could go back further but 1776 just sounds better. 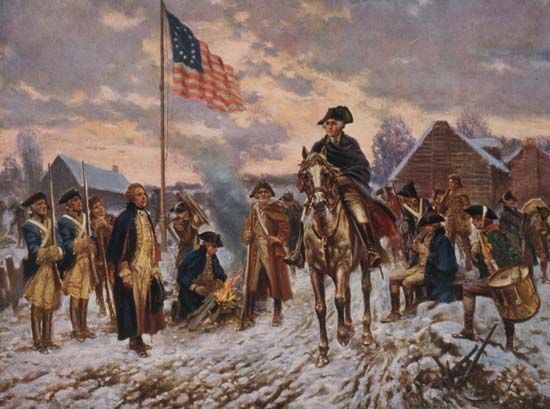 On Christmas of 1776 George Washington took his Continental Army across the Delaware to attack the British garrison at Trenton. Actually it was a bunch of hung over Hessians who after Christmas dinner on the 24th failed to post a guard which enabled them to be surprised, but it was an American victory. 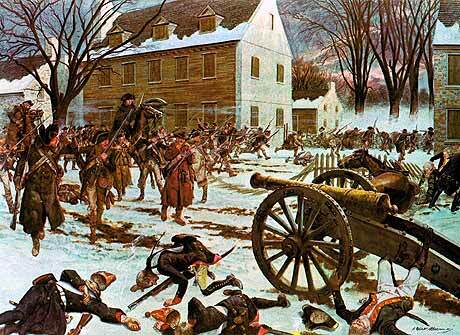 In 1777 Washington and his Army had a rather miserable Christmas at Valley Forge where they spent the winter freezing their asses off and getting drilled into a proper military force by Baron Von Steuben. While not a battle in the true sense of the word the Cadets at West Point wrote their own Christmas legend in the Eggnog Riot of 1826 when the Cadets in a bit of holiday revelry had a bit too much Eggnog and a fair amount of Whiskey and behaved in a manner frowned upon by the Academy administration. Needless to say that many of the Cadets spent the Christmas chapel services in a hung over state with a fair number eventually being tossed from the Academy for their trouble. Napoleon had something to celebrate on December 25th 1801 after surviving an assassination attempt on Christmas Eve and 1809 he was celebrating his divorce from Empress Josephine which had occurred on the 21st of December. 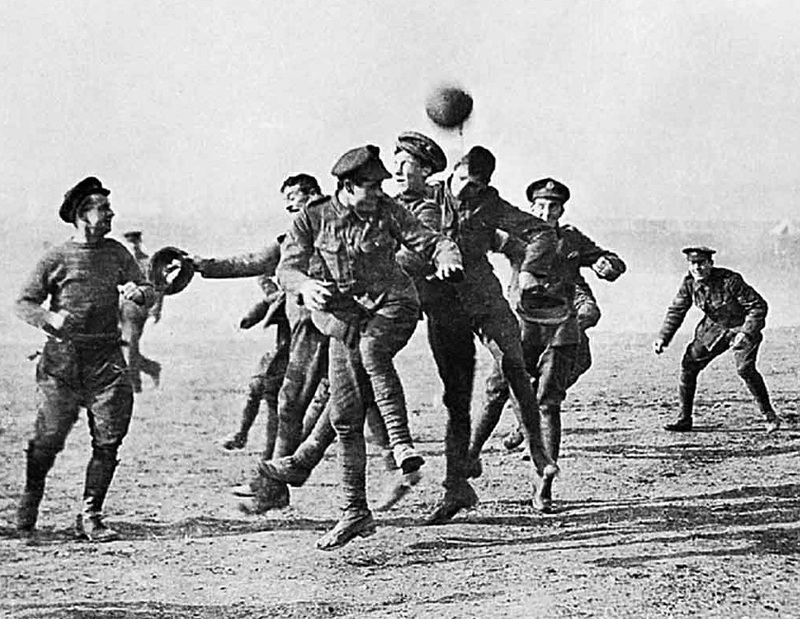 In 1914 “Christmas Truce” began between British and German troops and threatened to undo all the hard work of those that made the First World War possible. Thereafter the High Commands of both sides ensured that such frivolity never happened again. The movie Joyeux Noel (Merry Christmas) does a wonderful job in bringing home the miraculous truce. 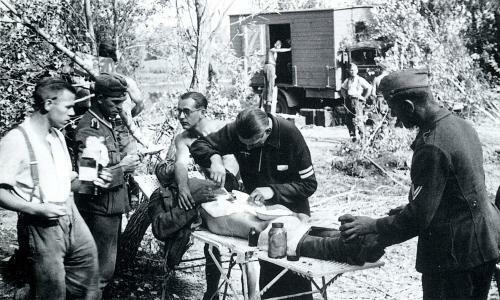 World War II brought much suffering. In 1941 after Pearl Harbor the Japanese forced the surrender of Hong Kong and its British garrison while two days later the Soviets launched their counterattack at Moscow against Hitler’s Wehrmacht. 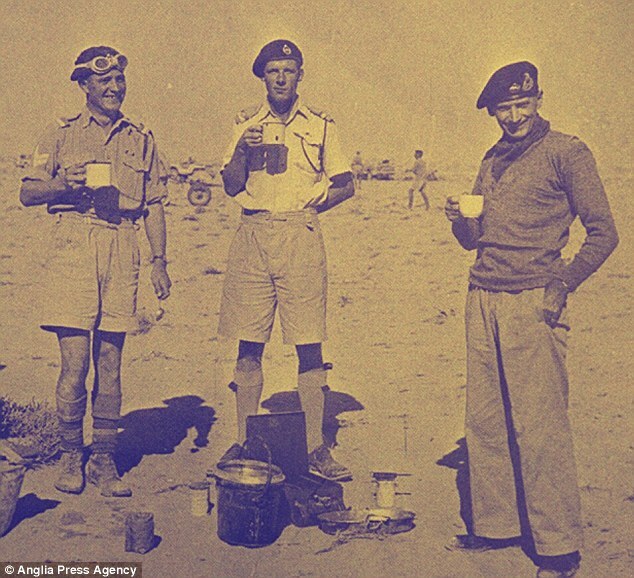 In Libya the British were retaking Benghazi from the Afrika Corps after a brutal series of tank battles in Operation Crusader. 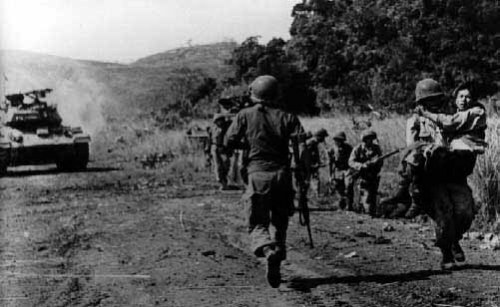 A year later the Americans were clearing Guadalcanal of the Japanese. General Montgomery’s 8th Army was pursuing Rommel’s Afrika Korps into Tunisia as American and British forces under General Dwight D. Eisenhower were slogging their way into Tunisia against tough German resistant. 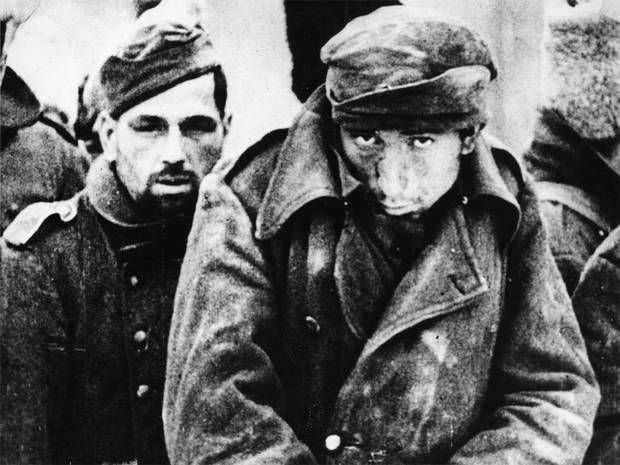 In Russia the Red Army was engaged in a climactic battle against the encircled German 6th Army at Stalingrad. 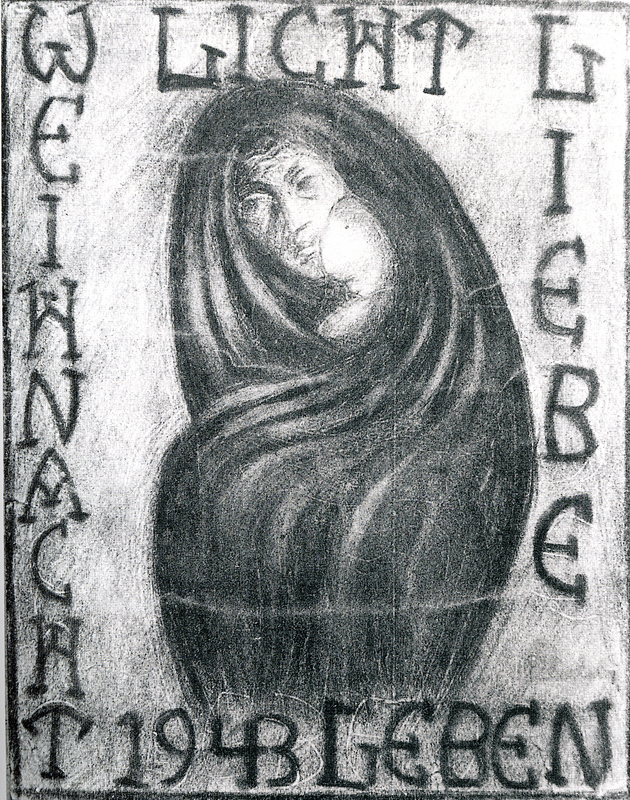 At Stalingrad a German Physician named Kurt Reuber painted the famed Madonna of Stalingrad. In 1943 the Marines were battling the Japanese at New Britain while the Red Army was involved in another major winter offensive against the Wehrmacht. In 1944 Christmas found the Russians advancing in Hungary. In December 1944 the Americans were engaged in a desperate battle with the Germans in the Ardennes now known as The Battle of the Bulge. On Christmas day the leading German unit, the 2nd Panzer Division ran out of gas 4 miles from the Meuse River and was destroyed by the American 2nd Armored Division. 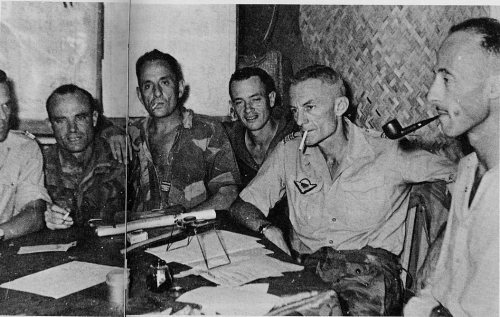 In the Philippines Douglas MacArthur’s forces were fighting hard to liberate Leyte, Samar and Luzon from the Japanese. At sea US and Allied naval forces fought off determined attacks by Kamikazes. 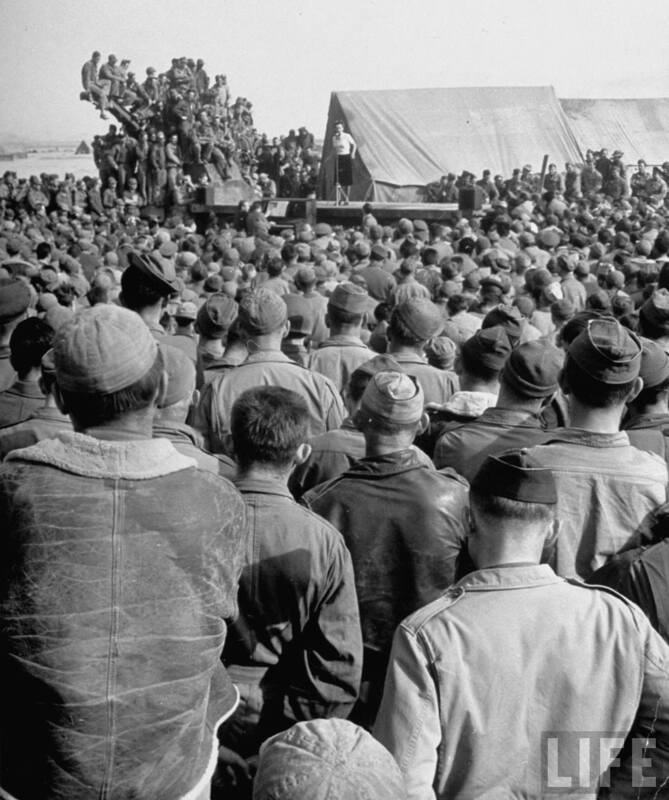 During the war the USO sponsored many entertainers who went to combat zones to perform Christmas shows, among them was Bob Hope. 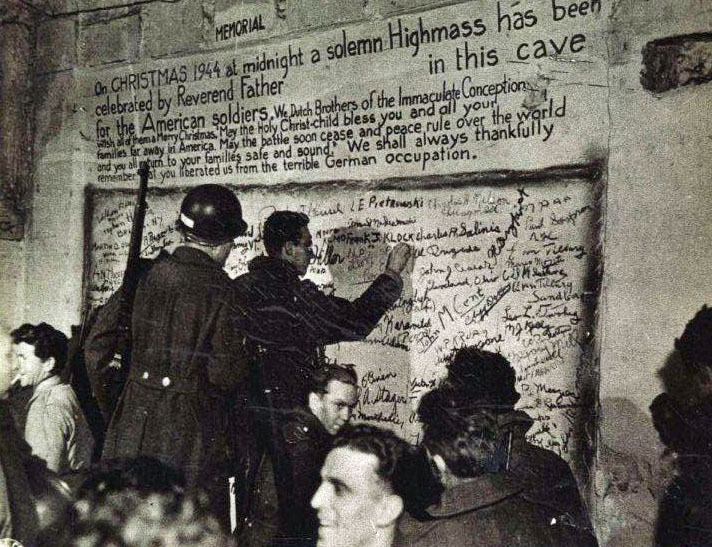 In the years following the Second World War Christmas was celebrated while armies continued to engage in combat to the death. 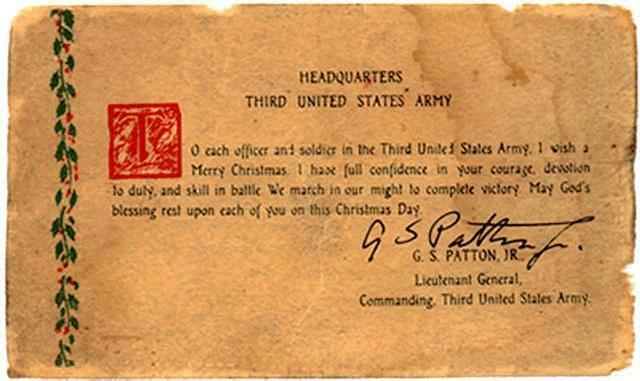 Christmas of 1950 was celebrated in Korea as the last American forces were withdrawn from the North following the Chinese intervention which the 1st Marine Division chewed up numerous Red Chinese divisions while fighting its way out of the Chosin Reservoir. 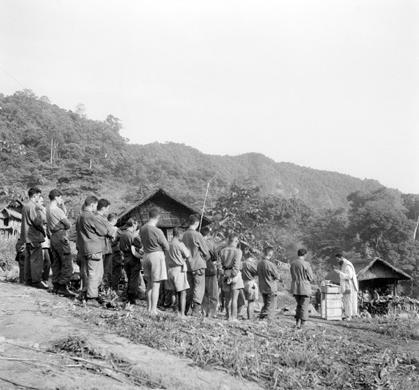 In 1953 the French garrison of Dien Bien Phu celebrated Christmas in primitive fashion unaware that Vietnamese General Giap was already marshaling his forces to cut them off and then destroy them shortly after Easter of 1954. 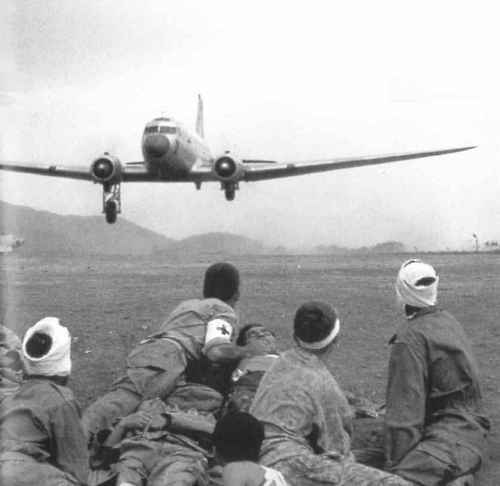 In 1964 the U.S. committed itself to the war in Vietnam and for the next 9 years American Soldiers, Marines, Sailors and Airmen battled the North Vietnamese and Viet Cong with Marines fighting the North at Khe Sanh during Christmas of 1967. 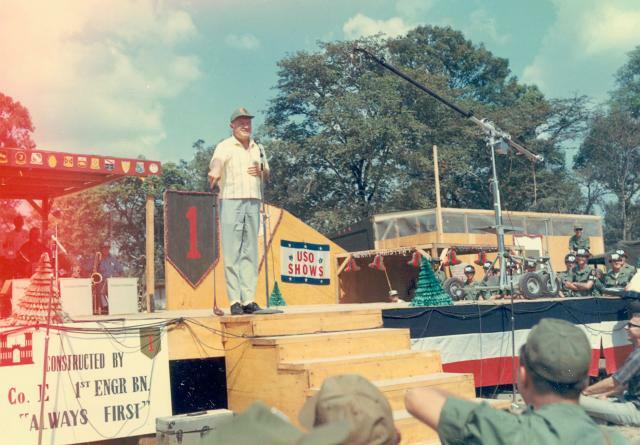 A hallmark of that war would be Bob Hope whose televised Christmas specials from that country helped bring the emotion of Christmas at the front back to those at home. 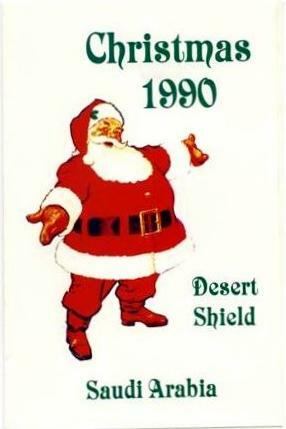 In the years after Vietnam American troops would spend Christmas in the Desert of Saudi Arabia preparing for Operation Desert Storm in 1990, in Somalia the following year and in the Balkans. After September 11th 2001 U.S. 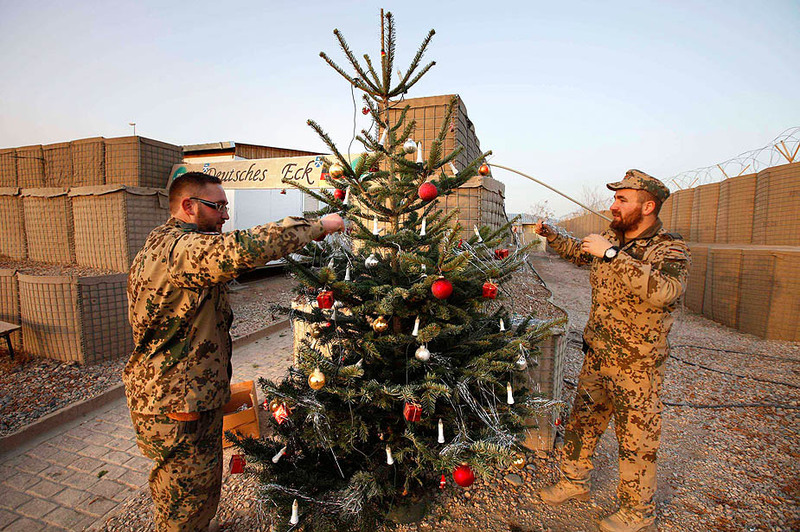 Forces spent their first of at least 12 Christmas’s in Afghanistan. 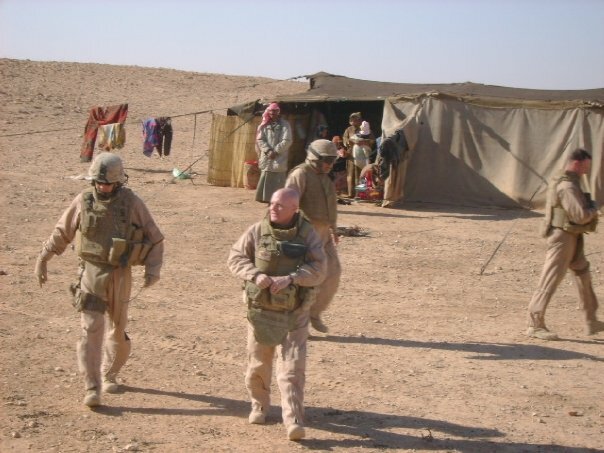 From 2003 thru 2011 US and coalition partner troops spent 8 years in Iraq, that was my war. 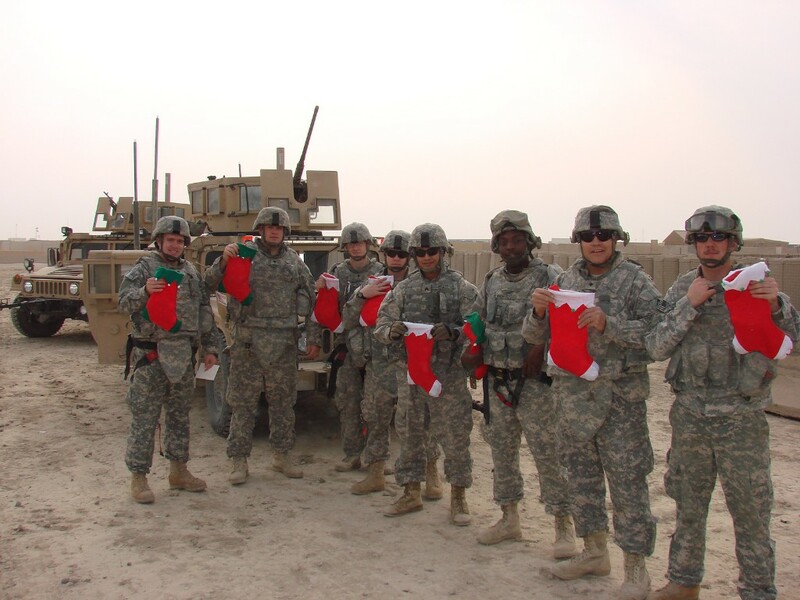 Today Americans and our Allies serve around the world far away from home fighting the war against Al Qaeda and its confederates and some may die on this most Holy of Days while for others it will be their last Christmas. Please keep them and all who serve now as well as those that served in the past, those that remain and those that have died in your prayers.